Apfelradweg is among the 3 best rated Bike Trails in Austria. With an overall length of 28 miles the bike trail is among the 10 longest bike Trails in Austria available on TouriSpo. In Kukmirn start following L108 towards Schermanngraben but before you get to the town leave the road to the right towards Hochweinriegl. Continue and take the second turn to the right to follow the road towards Gründelsberg. Now turn slightly left onto the street „Am Grindelsberg“ and keep going until the next crossing street, where you turn left towards Lumbach im Burgenland. In Limbach turn into the street Holzbergstraße and stay on it for a couple of kilometres. When you reach the street Lendenberg, keep left so you reach the street Bergstraße via Pussta, where you take a sharp turn to the right towards Heutal. Follow that street that alternates crossing and running alongside the stream Heutalbach, for quite some time until you reach the urban settlement at Güssing. Afterwards turn left into Bachstraße and continue alongside the forest until you turn right towards Fedenberg. When you reach Deutsch Kaltenbrunn take a sharp right turn and continue towards Schmiedberg. Eventually you will get to Eisenhüttl from where you should turn left at Eltendorfer Landstraße. After some time keep left again to get on L251, which will lead you straight to Rohr im Burgenland. In Rohr im Burgenland pass the stream Zickenbach and turn right at the first opportunity. Stay straight until you reach Heugraben on Eltendorfer Landesstraße. Now turn right and shortly afterwards left again and continue towards Rauchwart. Passed Schallendorf im Burgenland continue towards Gamischdorf, keep right and bike alongside the stream Sulzbach to Sulz im Burgen. As soon as you reach L118 turn right and take the next turn to the left onto L413. Now leave L413 at the next possible right turn and continue towards Gerersdorf bei Güssing . In Gerersdorf turn left into Sulzer Landesstraße and afterwards take the next left turn. Now follow the street for a while and take right at the second possible turn. Keep also right at the next junction, pass Petzischberg and continue on L108 on which you turn left to get back to Kukmirn. 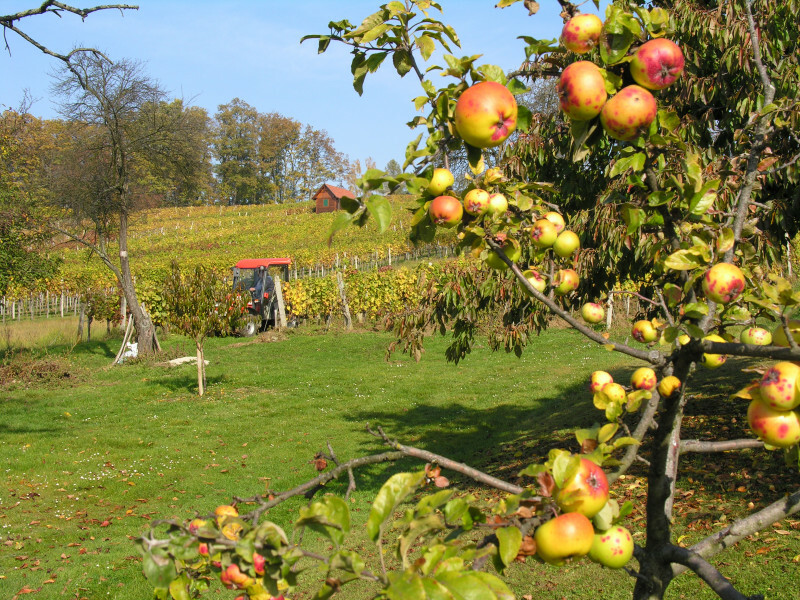 Kumirn is the biggest fruit-growing community in the area Burgenland. Furthermore Kumirn is home of a distillery museum and the farm Elfenhof, where you have the possibiliy to go for a walk with a lama. In addition we can list the stunning landscape as one of the highlights of the tour. If you want both physical activity and a beautiful backdrop while you do so this tour is the right one for you. Starting point of the tour is Kukmirn. Starting in Vienna take Autobahn A2, exit at Lafnitztal and then follow the signs to Kukmirn. Coming from Graz take also A2 but exit at Ilz before you continue towards Kukmirn.